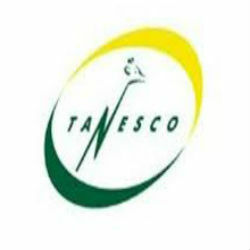 The government of Tanzania has announced plans to invest nearly USD 1.2 billion in the Tanzania Electricity Supply Company (TANESCO) over the next 11 years in a move to help improve the investment potential of the company by attracting private sector investors to support improvements to generation, transmission and distribution facilities. The Tanzania energy reforms are expected to attract enough investments to increase the company’s generation capacity to at least 10,000MW and will connect at least 75% of Tanzanians to electricity. According to the Tanzania Electricity Supply Industry Reform Strategy and Roadmap 2014-2025, the financing of power projects will move away from the government to the newly engaged private sector. The report goes on to indicate that the government expects to list the state-owned generation company on the Dar es Salaam Stock Exchange, but will maintain at least a 51% hold in the company shares. Tanzania is the third East African country to implement this form of an unbundling plan behind Kenya and Uganda, where similar reforms helped Kenya attract private investors into the geothermal sector while also increasing access to electricity from 16.1% in 2009 to 29% in 2013 and reducing losses in Uganda from 38% to 26%.